JUNE 21st, 2018: One Water Perspectives Webinar: Shifting to a New Water Management Approach starting at 3:00pm (EDT). Increasing stress and risks on water supplies necessitates new tools and approaches to water resources management. In the face of these 21st century water challenges, the San Francisco Public Utilities Commission (SFPUC) has adopted an OneWaterSF approach to managing water resources for long-term resiliency and reliability. The SFPUC has successfully cultivated a shift at the utility from thinking about one project at a time to thinking more holistically about the synergies and resource potential across water, wastewater, and energy boundaries. REGISTER HERE. 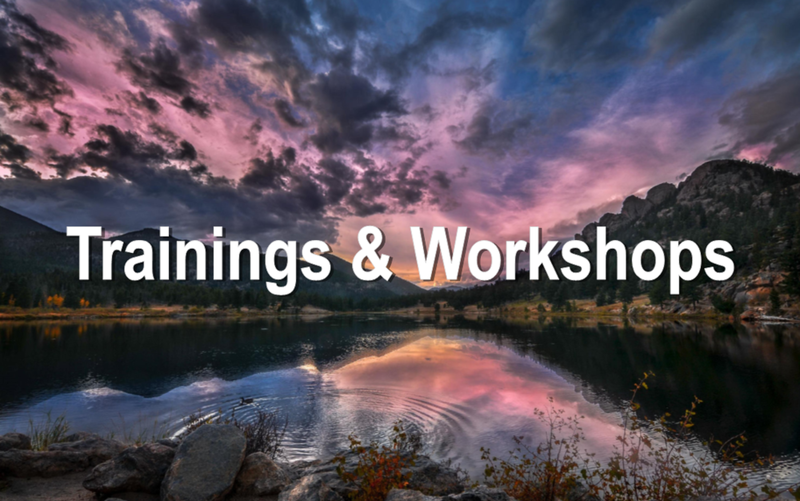 JUNE 21st-22nd: Western State Colorado University presents the Colorado Water Workshop. The Workshop seeks to bring together current water leaders with students (both undergraduate and graduate), and with early career professionals to: 1) examine the legal, cultural, and political traditions that have established the western water world as we know it today; 2) imagine a future for western water that acknowledges new challenges such as a changing climate, imperiled ecosystems, increasing human populations, and evolving social expectations; 3) and, most important, adhere to the Workshop’s founding principle from 1977, to “let all reasonable positions be represented.” To find out more information, including how to register, click HERE. JUNE 26th, 2018: AWE and EPA WaterSense Outdoor Webinar Series titled "Outdoor Water Use and Green Infrastructure." Join them at 1 p.m. CDT for the latest installment of the Outdoor Water Webinar series, and hear EPA's Stacey Eriksen discuss improving the approach to stormwater management by using low impact development and green infrastructure. CLICK HERE to learn more and to register! JUNE 28th, 2018: OneWorldOneWater Center presents The 2018 Watershed Summit is one of the region’s top event for water industry leaders to understand the emerging trends, challenges, and opportunities ahead in this dynamic field. Topics include technology innovation, behavior change, agriculture, and resiliency. Coffee & registration at 8:30am, event begins at 9:00am. To register, click HERE. JULY 9th-12th and 16th-19th, 2018: Mountain Studies Institute (MSI) accepts high school students rising to 11 or 12th grades, or recent high school graduates (with occasional exceptions for younger students). Students from San Miguel, Ouray, Dolores, San Juan, La Plata, Archuleta, and Montezuma counties are invited to apply. Join the San Juans' most immersive and engaging mountain science program! During the two week, rigorous field course program, students explore topics and careers in the sciences and natural resources by day, and camp and explore in the evenings. During the program, interns gain hands-on experience contributing to real-world environmental science projects. Students work side-by-side with a small group of other interns from across the San Juan Mountains. The program is led by mentors from MSI and more than 20 local science professionals. Students interact with natural resource managers and researchers in the field to learn about ecology, geology, hydrology, wildlife, and forestry. They will dive into topics such as air and water quality, climate change, mine reclamation, fen restoration, and forest health. Find more information HERE!